The concept of eating a buffet arose in mid 17th century France, when gentleman callers would arrive at the homes of ladies they wanted to woo unexpectedly. The buffet was popularized in 18th century France and quickly spread throughout Europe. 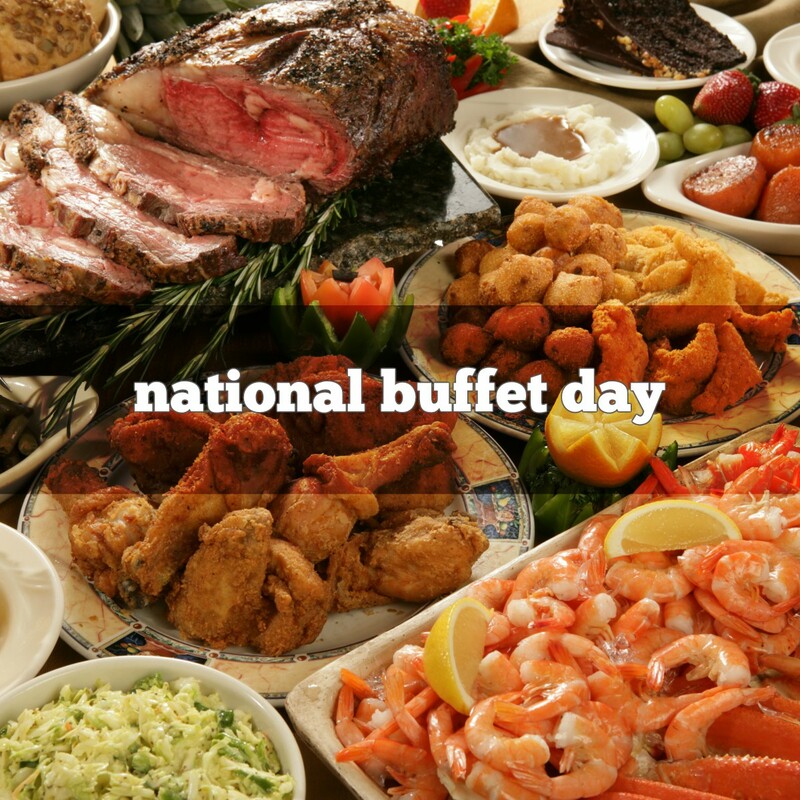 The all-you-can-eat buffet made its restaurant debut in 1946, when it was introduced by Vegas hotel manager Herb MacDonald. By the mid-1960s, virtually every casino in Las Vegas sported its own variation. Today the casino buffet costs a bit more than the average $1.50 price of the 1960s, but the buffets continue to be one of the best deals in Vegas as well as all over the United States. 1923 Secretary of the U.S. Dept of Interior, Albert Fall, resigns due to public outrage over the Teapot Dome scandal. 1975 Working with Canadian zoologist Freud Urquhart, amateur naturalist Kenneth C. Brugger discovered the winter home of the Monarch butterfly in the mountains of central Mexico. The refuge he found was only about 200 square meters and contained about 20 million butterflies. 1983 ‘Maneater’ by Daryl Hall & John Oates is #1 on the charts. 1990 Campbell’s Soup introduces Cream of Broccoli soup. It becomes their most successful new soup in 55 years. 2005 H. David Dalquist, the creator of the aluminum Bundt Pan in 1950, died in Minnesota at the age of 86.